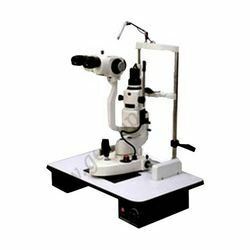 We have collection of Gem Zoom Slit Optical Head with Beam Splitter 'C' Mount Slit lamp Zoom Mag with CCD Digital Camera. It also has the features of slit length & width adjustment. This is helpful in all kind of intensity control of illumination i.e low, medium & high. 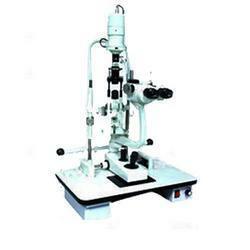 Slit Lamp Microscope is used in conjunction with a bi-microscope. 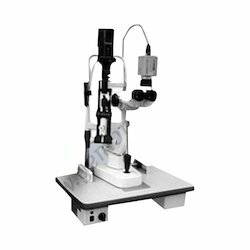 Slit Lamp Microscope (SLM) has high intensity light source and enhanced optical system, which provides real image Video compatibility. Video compatibility is an additional feature that helps to study the case with more clarity. 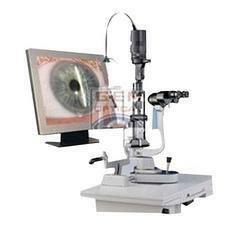 Slit Lamp Z Stepper Magnification consists of a high intensity light source that can be focused to shine as a slit. 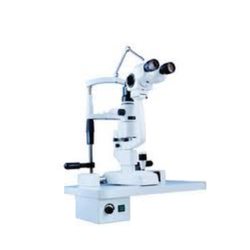 Looking for Slit Lamps ?